The large crane will arrive Tuesday afternoon, and drive across the lawn to its position near the tower (special mats will help protect the grass). A trailer or two of counterweights will accompany the crane. 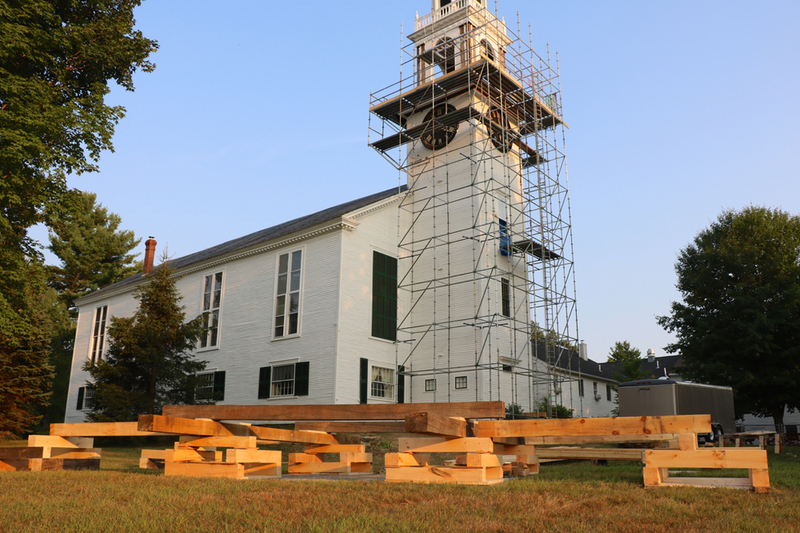 Preparations will begin early Wednesday morning with the lifting up of long bearing timbers (see photos below). These will rest on metal brackets attached to the belfry, and the Preservation Timber Framing (PTF) crew will through-bolt them to the belfry wall to support the top during the lift. The crane will be rigged to the timbers, and the top lifted off. The crane will slowly lower the top down to timber cribbing waiting on the ground. The crew will attach side braces to safely hold the top in place while the crane still supports its weight. 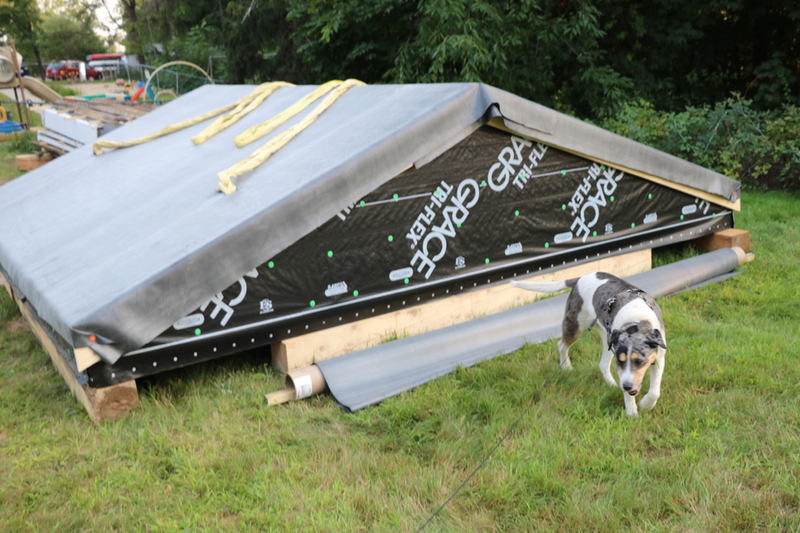 Once the top is secured to the cribbing on the ground, the crane will be released and move on to its next job. After the new roof is flown up and secured, the crew may use the crane to remove the bell (which probably weighs about 1,200 pounds). This will depend on how much time is left in the day, and how quickly the tower top rigging can be changed for safe bell removal. If there's not enough time left, PTF will remove the bell another time (with a much smaller crane! ).